I was lucky enough to participate in the festival with not only one, but three orchestras. While this was a bit daunting, I have to say I enjoyed every bit of it and don’t regret the choice at all. 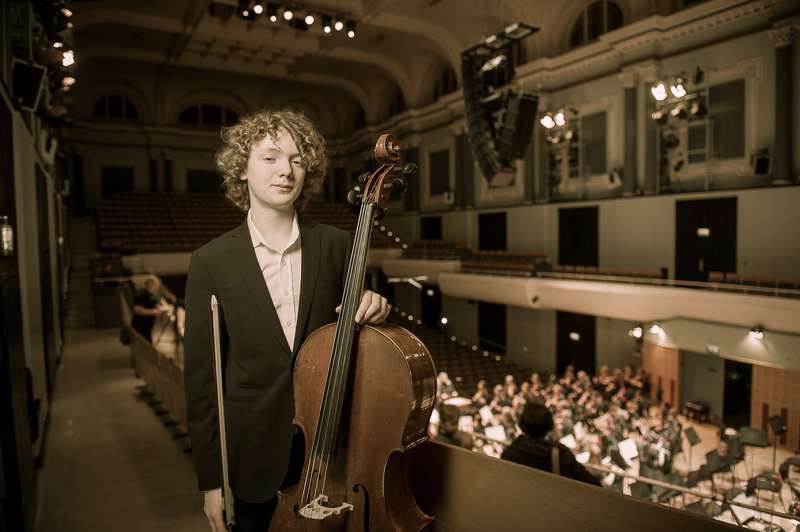 As a member of the National Youth Orchestra of Ireland, I was already aware that I would be at the festival and was really looking forward to it. When the opportunity to play Sam Perkin’s Inspirit came about, I was overjoyed. I played its premiere a few years ago and I think that it is such a beautiful, unique piece it would be a waste to pass on the chance to play it again. I was also excited to play with the ConCorda orchestra again as it is such an amazing group. Then, a few weeks later, another orchestra opportunity came up, the Festival Orchestra. To be honest I wasn’t really sure what it was when I signed up for it, but I am so glad I did. The orchestra brought together people from all over the country and it was really fun meeting musicians from Donegal, Kerry or Cork. The music was fantastic, especially the new Sam Perkin piece and every rehearsal was really fun. Even though I expected a bit of stress, the day turned out far smoother than I thought. I even had a chance to have a few breaks in between! The whole experience was really wonderful, because each orchestra was unique, each with different sounds, people and music. And I’m so happy that I managed to be a part of three of them.